As you’re developing the right mix of colors, textures, fonts, and content for your yearbook design, you probably feel like there are a lot of options to consider. And there are. All of these tools can play a huge role in the ultimate look and feel of your yearbook design. But they’re not the only aspects you should be considering when you want to make an impact with this year’s book. In fact, how you use the negative space on every page can be just as important, if not more so, than all of the “main event” details listed above. To better understand how negative space on the pages of your spread can impact your readers, I’ve put together some important considerations for when you’re building out your yearbook. Below, I’ll tell you exactly how page spacing can affect the way your pages look, as well as the success of your yearbook theme implementation across the entire spread. 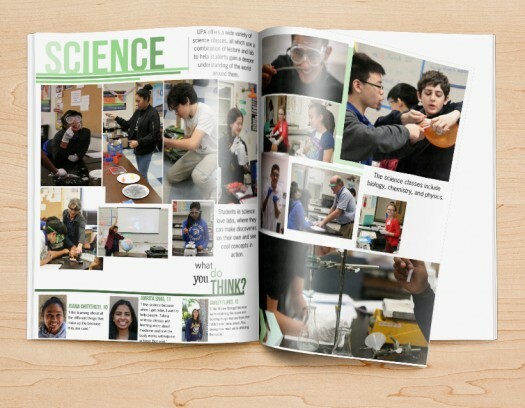 For most yearbook coordinators, assessing how to best use the space on the pages of your yearbook is less of a science and more of a visual art. Understanding these concepts and the functional terms associated with them can help you better utilize this whole spacing concept across the pages of your spread. The content and images that grace the pages of your yearbook design are called positive space – these are the areas where you’re trying to direct the reader’s eye. 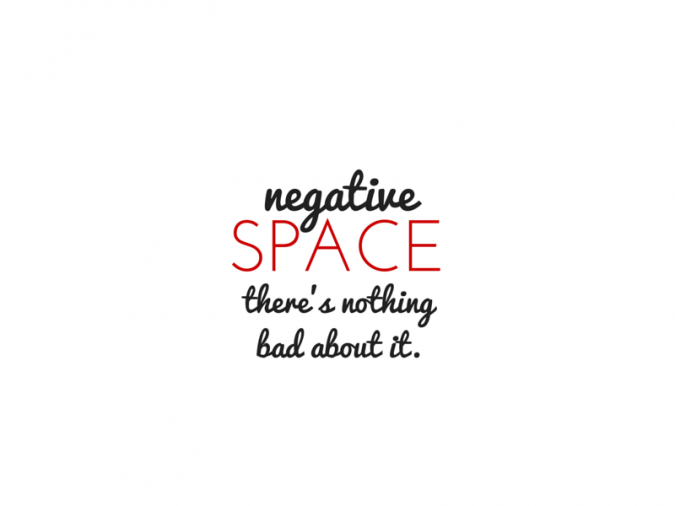 Conversely, negative space is the blank area of the page commonly referred to as white space. While it might just seem like unused real estate, using the negative space on your pages well can help the reader navigate the rest of the content more easily, and prevent the content from looking too crammed. While you want to add a lot of content to the pages of your yearbook design, you also want the pages to be readable and draw people in. Utilizing the right amount of negative space will help you avoid cramming too much content onto each individual page. To do this best, make sure you’re leaving some white space around your photos to help them stand out a bit more. Go through your text to make sure that the spacing between lines and columns doesn’t feel overwhelming—that it’s something both you and the average student at your school can easily read through. When you call out portions of text, make sure you add some extra spacing around that featured blurb, as it will show the reader that this particular piece of content holds more importance. While there’s not a one-size-fits-all guide to using negative space within a yearbook, being visually cognizant of how the reader will interpret a page can help you identify the best content arrangement. As you’re adjusting different sections of content, don’t be afraid to play around with the negative space. This will help you better understand the possibilities with this concept, and help you find the perfect combination of content and white space. This ensures that everything is well-spaced and legible. A great yearbook design will allow your theme to flow throughout the pages without looking too forced—and that’s what will make this year’s book really shine! Want more great yearbook design tips? Download our free ebook now!